16 local and international artists transform cars into small exhibition units and scatter into Los Angeles neighborhoods and traffic. The Convoy will merge at specific points and end the day at Cold Storage for celebration and film screenings. Beside the static city of Los Angeles a steadily moving city exists. Living in Los Angeles often equates to living in a car, as many people spend hours each day in long distance commutes and unavoidable traffic jams. Exploring the car as a “living room” as well as a symbol of personal freedom, identity, and privacy, a group-show will be developed, where exhibitions and performances will take place within a convoy of vehicles. This driving exhibition poses the question of what happens when the rooms of a fixed museum begin to independently circulate and find their way to the city and its residents. 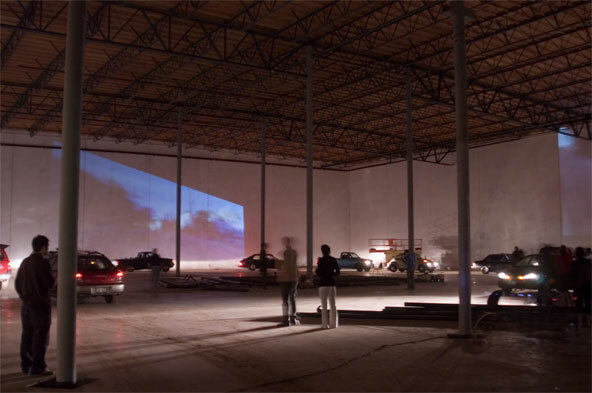 16 Local and international artists are generating their own work within a car interior. The relationship between the car, the human being, and the city is a major subject connecting various works and approaches. For one whole day on August 26th 2006, the mobile exhibition, consisting of individual units, will start from one point and swarm out into the city and its traffic, to merge again in different neighborhoods in the city.